Mediation takes less time than the court process. The average agreement can be reached in six to 12 hours. This is in addition to backed up court calendars and attorney time frames. Meditaion is much more private than court. Because the process is confidential, couples can avoid public disclosure of financial information and other personal matters. Mediation is far less expensive than a litigated divorce. If a case is brought all the way through trial, legal fees can be far more extensive. The mediation process promotes cooperation and open communication, and reduces the tension and conflict that can adversely affect major financial and parenting decisions. Mediation empowers you to control the decisions that affect your life and your children’s lives – now and in the future. Mediation is low risk. Generally speaking, simple rules of fairness apply, but the worst case scenario is that both parties walk away and then take their chances in court. So the upside is huge will the downside is minimal. Mediation often provides much better solutions and acceptable conditions than the court process. 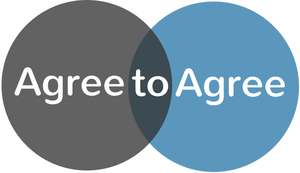 Since settlement is obtained through negotiation and voluntarily agreed to by both parties, final results and commitments under divorce mediation are much better suited to the wishes of the parties involved rather than having judgments mandated by the court. Mediation is easier on kids if there are children involved. Parents battling it out in court can be rough on children. Divorce mediation is a less stressful and lower impact emotionally on families and young ones involved. Couples who have used mediation successfully can often handle post-divorce issues by using the communication and dispute resolution skills they learned. But many divorced couples that fail to resolve serious conflicts believe their only option is to contact their attorneys. This can prove to be stressful and expensive, and there is no guarantee it will be productive. Not every agreement and scenario made during mediation or in court can possibly solve every issue that may arise down the road. Divorce Mediation is a great foundation to build on, but life moves on and the two parties may need support in arriving at new decisions and understandings after the original divorce has concluded. 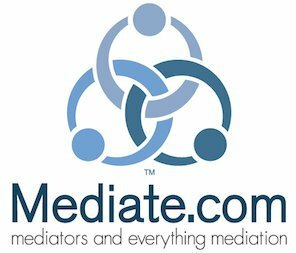 Post-Divorce Mediation is a viable and effective process for resolving conflicts that arise after divorce. It is also provides all of the benefits that were enjoyed during the original divorce mediation process. TLC can help guide you through troubled waters again and again without spending a fortune on valuable resources that your family needs. The same process that helped you reach your settlement, sitting down with a neutral third-party professional and working through the issues, can help you settle ongoing disputes quickly and satisfactorily. One last important factor to note. Divorce mediation allows for solutions that can be discussed in a calm and relaxed setting where everyone is respected and opinions are heard thoroughly. Your current situation is not a “docket number” to TLC. You are real people with dreams and visions that are worthy of careful reflection and consideration. Courts have to be rigid due to strict guidelines that have to be adheared to and it is a much more “cold” environment. Cases need to be pushed along and it can be heart breaking to see the wounds that can be created during the court process. This isn’t to say courts aren’t needed. They mose certainly are. However, if disputes can be settled through calm mediation, everyone wins. Divorce is hard enough and lives need to rebuild and heal as quickly as possible. TLC wants to help become a part of that healing process and bring families closer together for the benefit of everyone involved. TLC Mediation charges an hourly rate per session and payment is made at time of service. No retainer is required. If you have any questions about your specific situation, we are always here for you. If you would like more information to help you determine if mediation is the right option for you, TLC Mediation offers a consultation to discuss the details of the process and answer any questions you may have. Contact us anytime to make an appointment for a consultation and find out if mediation is right for you and your family.